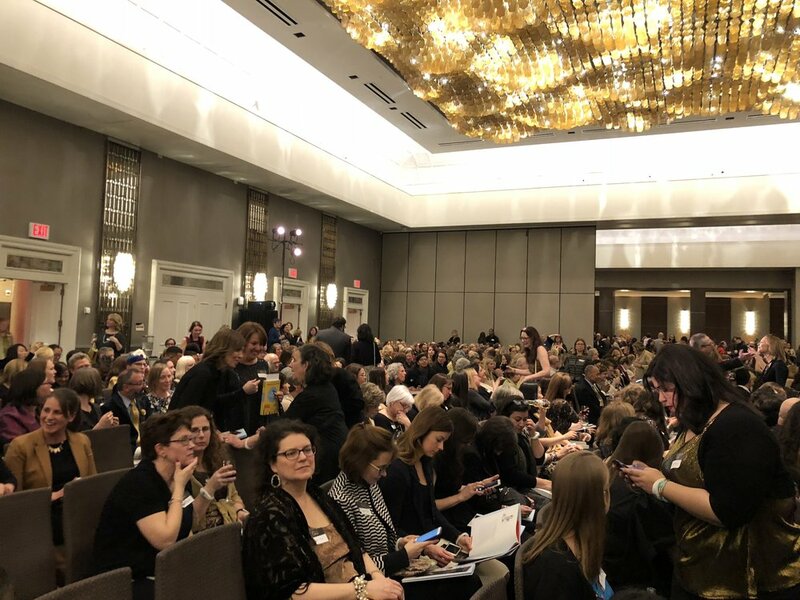 The SCBWI New York winter conference was a whirlwind of learning, inspirational speakers, networking, book buying and being a total fangirl as I collected signatures for my growing mountain of books. I am still pinching myself that I was awarded the SCBWI tribute fund scholarship to attend the conference. Sincere thanks to Susanne Gervay for the nomination. Apparently the conference was even bigger in previous years, but a decision was made to reduce the size and change the format so that master classes were more two-way and personalised. Participants were requested not to video or blog about the content from each session. For this reason, my aim is to give you a feel for the event rather than the specifics from each session. 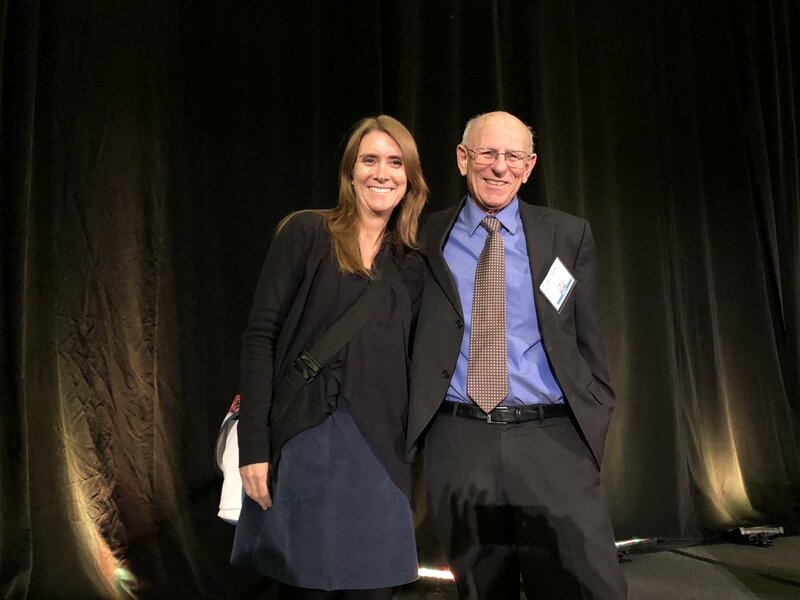 The conference kicked off with the Golden Kite Gala Awards evening, with Chelsea Clinton as the guest speaker. 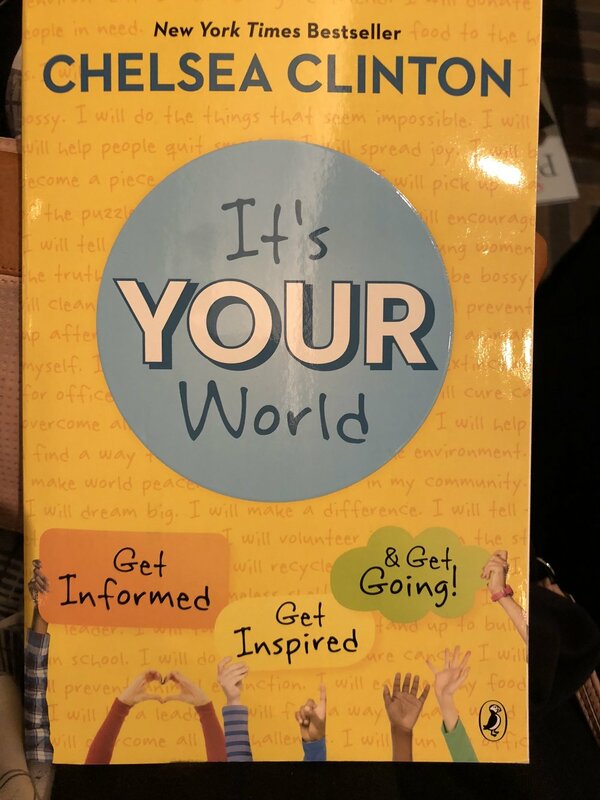 She was impressive, articulate and is making her mark on the world with hugely successful children’s books such as ‘She Persisted’ and ‘It’s Your World: Get Informed, Get inspired and Get Going’. She generously donated a copy of one of her books to each participant. Thanks Chelsea. I first met the lovely women in the SCBWI bookshop at the Gala Awards evening. I bought three award-winning books and foolishly thought that I was done. The conference ran over two full days (Sat 3 Feb and Sun 4 Feb). We started on a high with illustrator Dan Santat delivering a keynote address about preparing for future success and the pitfalls he faced on his journey. 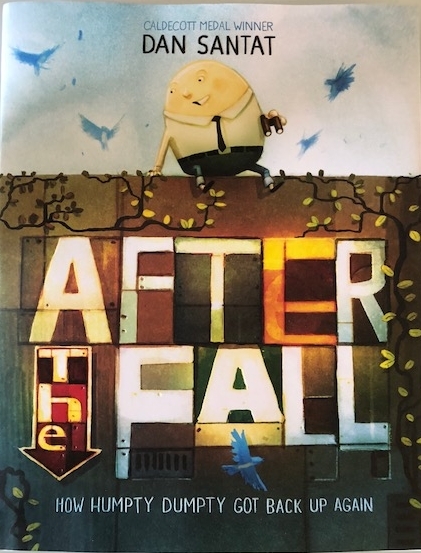 I would highly recommend Dan’s treasure of a picture book ‘Before the Fall’ which was inspired by the journey his wife took in overcoming anxiety. The conference schedule revolved around master classes covering a wide variety of topics led by industry experts. It was a challenge to narrow down my wish list to just three sessions. 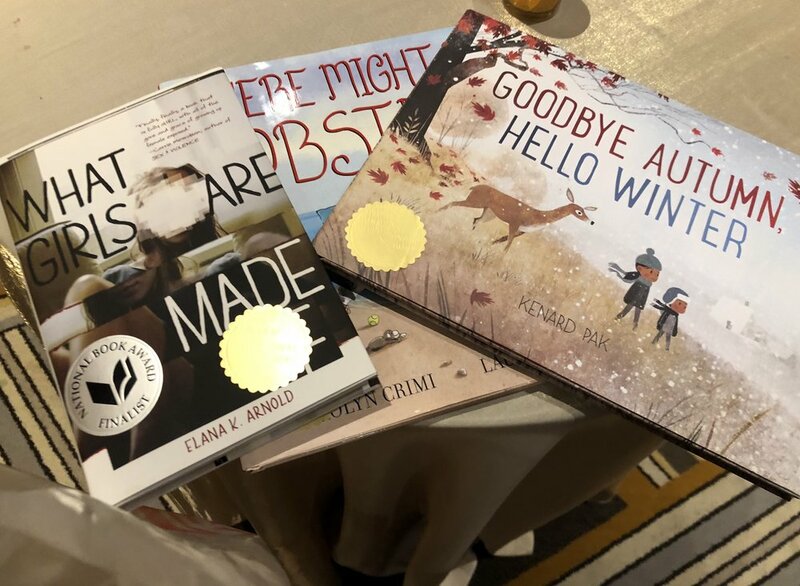 In the end I chose ‘The five principles of a satisfying picture book’ with Cheryl Klein, ‘A master class in voice’ with Caitlyn Dlouhy, and ‘Tools for the Revision toolbox’ with Emma Dryden. And of course I had to buy another book. This time co-authored by Emma Dryden. The planning committee did a fabulous job making sure international participants connected with each other at lunch and dinner events. As it is just a stones throw from New York, there was a reasonable sized Canadian contingent as well as participants from Spain, Germany and a range of other countries. Representation of marginalized voices in children’s books is not a trend. It is the norm of the future. Picture book biographies are in demand. Agents are on the look-out for beautifully illustrated chapter books with more visuals attached to content. There is an absence of trends in the YA space, which is exciting as good stories can be told and they don’t have to fit into a trend. 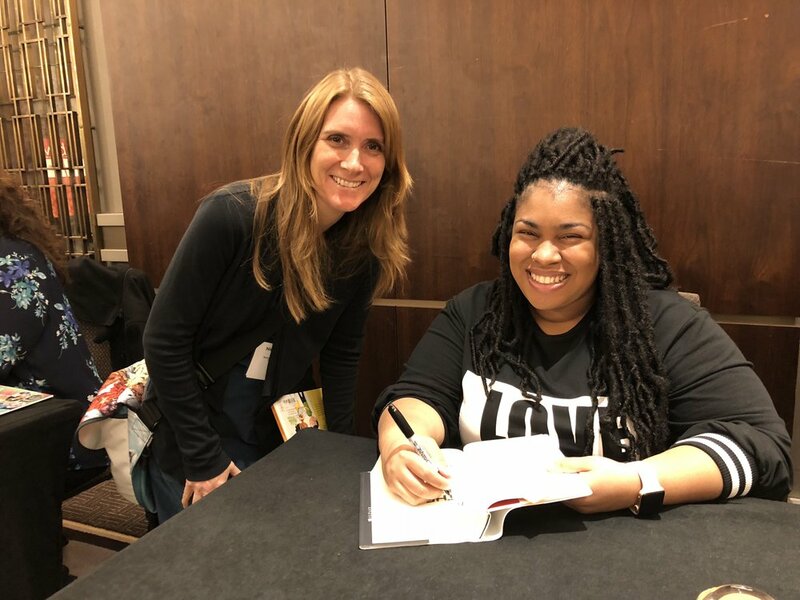 And just as it was winding down, the energetic, captivating and unapologetic Angie Thomas stepped out to deliver the closing address. She reiterated the advice from agents about books needing to reflect the world’s diversity. Her book ‘The Hate U Give’ centers on police violence in black communities. It’s raw, riveting and real. What could I do? I had no choice but to get Angie’s book. And just like that, the main sessions were over, but the bookshop was still open and calling my name. And all of the wonderful award winners and speakers were sitting and waiting to sign my books. So, I went to meet my new best friends in the books store and bought just a few more books as gifts. Lucky I bought a spare suitcase!